Here’s a couple more of my favourite puzzle mystery writers. It seems that most of these writers worked mainly in what’s known as the Golden Age, the 1930s and 1940s; as I said, this style of novel is very much out of favour these days. Its surviving relative is perhaps the cozy, although most cozy mysteries are not much on logical rigour. This writer’s reputation rests pretty much on a single novel, Rim of the Pit. It’s a story that takes place in rural Canada, stars roguish gambler Rogan Kincaid, involves the legend of the wendigo, and features mysterious and apparently inexplicable events galore. The puzzle that’s at the heart of the novel is extremely difficult to work out — it helps if you’re a professional magician, and that’s all I’ll say on that score. There is a professional debunker of spiritualists in the book and he’s kept very busy. One of the things I most enjoyed about this novel was that, like John Dickson Carr, Talbot manages to infuse the proceedings with a strong air of the weird and strange, and makes it plausible that the events of the book could possibly have been instigated by some kind of supernatural being. 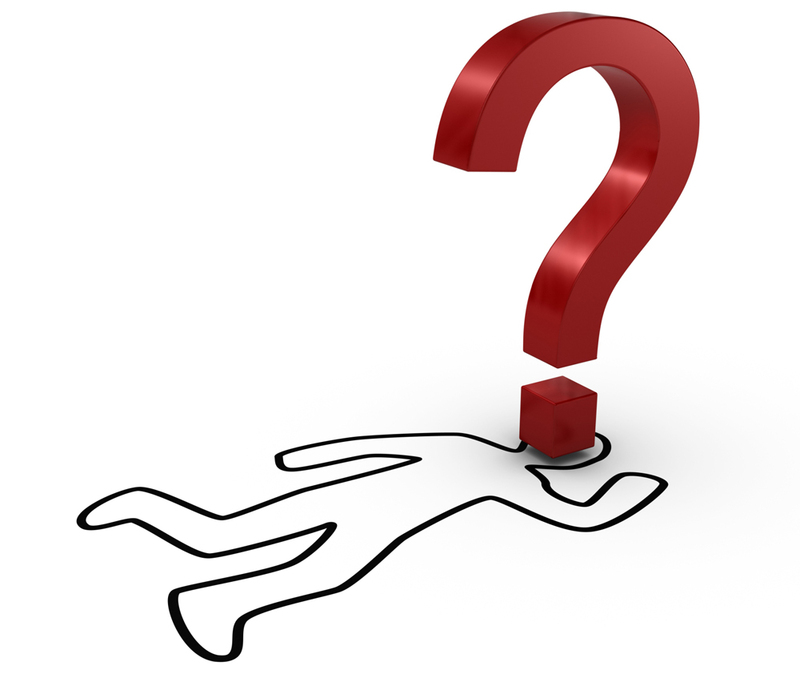 Of course, to truly count as a mystery, there has to be a human at the bottom of it, and it is certainly so here. 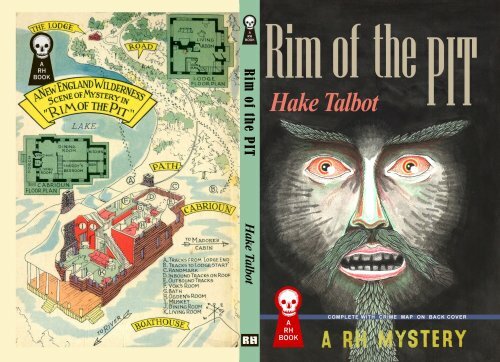 Rim of the Pit has always been a difficult book to obtain, although it has been published in paperback (including mapback) a couple of times; be prepared to spend some money to get a copy of this. Note that the illustration is from the most recent publication by Ramble House, although as near as I can tell the map on the back has been lifted from the 1940s Dell mapback edition. Not quite so successful, and infinitely more difficult to obtain, is the author’s other claim to fame, The Hangman’s Handyman. I think it took me twenty years to track down a copy of this that I could afford, and I was forced to sell my first copy almost immediately; it was too expensive for me to hang on to. It’s recently been reprinted by Ramble House as well and you can get it at a tenth the price of the first edition at around $20. The Hangman’s Handyman is the name of a killer current that swirls around the coastline of a mysterious island; the obligatory creepy mansion plays host to a supernatural force called the odh that kills people and rots their bodies overnight. Rogan Kincaid figures it all out and gets the girl. The nine detective novels featuring Oxford don Gervase Fen will be a delight to the reader. I can do no better than quote Wikipedia (I may have even contributed these phrases): they have “complex plots and fantastic, somewhat unbelievable solutions, including examples of the locked room mystery. They are written in a humorous, literary and sometimes farcical style and contain frequent references to English literature, poetry, and music.” Crispin’s reputation rests largely on The Moving Toyshop, but I cannot say I agree with the popular taste on this one — it is far less inventive than others. My own favourite is Love Lies Bleeding, where the setting is a private (“public”) school and the victim a schoolmaster named Love, but other excellent entries are Holy Disorders, Frequent Hearses and The Long Divorce. Frankly, they’re all very enjoyable, and I don’t really understand why people like The Moving Toyshop so much, it seems to me to be the weakest. 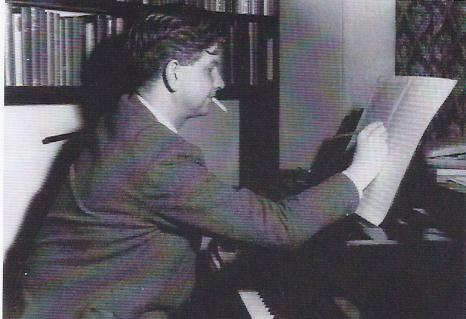 Crispin (a composer of film music) is at his best when he composes around a central theme with multiple fantastic variations, and this novel has very little in the way of side excursions. (Also it will be easy to solve if you are a fan of early Ellery Queen, whereas the others are extremely difficult under any circumstances.) Gervase Fen is a kind of Sherlock Holmes on LSD, constantly making bizarre literary references and going off on wild tangents, and this reader at least enjoys being distracted effectively from the central murderous events by his antics. Twenty-five years after last setting down his pen, and shortly before his death from, among other things, chronic alcoholism, Crispin emerged with The Glimpses of the Moon (1977), which is far more farcical than his other work but also contains at its core a brilliantly complicated puzzle that will have you slapping your forehead when you finally realize what happened to the victim’s missing arm. The novels can be read in no particular order, but I often recommend chronological, which would have you starting with The Case of the Gilded Fly.